Gazing out an open sliding-glass door to my left, I can see only clear blue sky and greenish -gray river water. The Suwanee River is well out of its banks, the flood waters lapping gently at the base of our house. I don’t fear the flood invading the house, built on sturdy concrete stilts to offset that risk. I’m ensconced in a comfortable chair, and the gentle breeze floating in the open door carries a sweet intoxicating fragrance that sets my mind to drifting. The new year has arrived. Glancing to my right brings me back. Our 12-year-old granddaughter is sprawled out on the couch, casually thumbing a digital device that’s as normal and natural to her as it is still a bit odd and even freakish to many of us older folks. Our dog suddenly dashes out onto the porch overlooking the river to bark at someone gliding past in a canoe, rhythmically dipping into the flood waters with a kayak paddle. The canoe passes, the barking fades, and a peaceful calm is restored. But when my gaze now fixes on three empty chairs straight ahead of me, my mind returns to reflecting on the past. The three chairs are lined up as if soon to be filled by three people for an old-fashioned chat. Or maybe an interview. Do I know them? And then the question came to me. 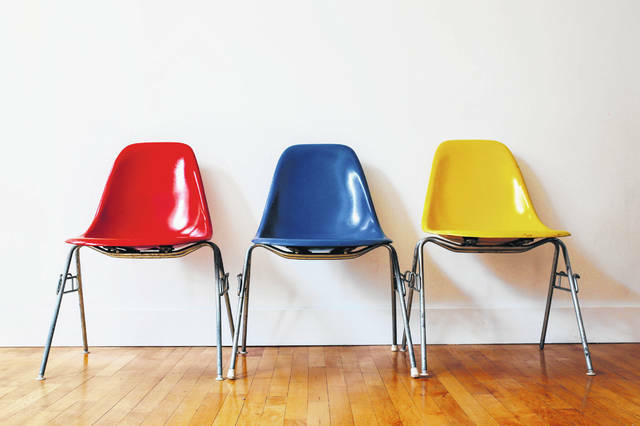 What three people, no longer living, would I pick — or would you pick — to fill those three empty chairs? You can pick anybody, a family member, a friend, a statesman, and so on. Some people would select prominent historical figures, say, Abraham Lincoln, Mahatma Ghandi, and Martin Luther King, Jr. But my interests and curiosity would put my two grandfathers and an ancestral uncle in those chairs for an hour of visiting. There’s so much I would want to know from them. I never knew my mother’s father — he died on the family farm 23 years before I was born. The year was 1912. Grandfather had put a horse into a stall, but, having forgotten something, went behind the horse, grazing the animal just enough that he suddenly kicked, catching my grandfather in the forehead. Sadly, he didn’t die immediately, suffering miserably through four years of headaches and seizures before passing away in 1916. I would just want to spend a few minutes with Frank Hosbrook, the grandfather I never knew. I do have a fleeting memory of my paternal grandfather. He was bending over and patting me, a two-year-old, on the head for having recited the alphabet. He handed me a bright shiny coin, perhaps a silver dollar. Grandfather had been a school teacher in the 1890s, but the economics of supporting a family of five finally drove him out of the classroom and into the postal service. He became a mailman. He and I would discuss our Burns family letters from the 1790s. And in the third empty chair I would have Alexander Burns, an ancestral uncle from six generations back. Uncle Alexander had an immensely adventurous life, not always by choice. He was shanghaied by the British Navy, captured at the Battle of Quebec, and later also captured by the Indians. He always escaped. I would not even know of Uncle Alexander had it not been for family letters written to him and a nephew from the north of Ireland. The letters were kept, lost, found, much like Uncle Alex himself. So there sit the three empty chairs in front of you. Who would you put in them and why?